Printed fence screens are fantastic. As used by building contractor and sign advertising companies. Custom made to suit your requirements you can design any size. There are no minimum sizes or roll lengths so you can custom to suit your fence or hoarding signs. Fence screens use includes advertising signage, building contractor and development, shops, temporary fencing and event sign suppliers. VISIT THEIR YOUTUBE CHANNEL for more excellent printing design ideas and privacy panel prints. 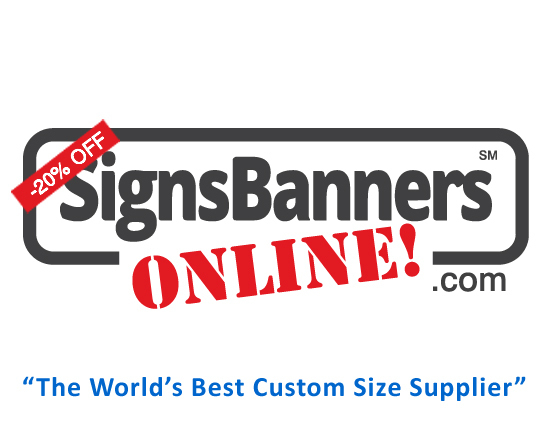 One of the best benefits of using Signs Banners Online is that you can custom any size or quantity.